I am in my hometown with our children for a few days of visiting during spring break. Today, I went to see my grandmother. I really enjoy visiting with her and I think she enjoys having a little of the chaos (and the sweet giggles and silly antics) of my young children around her for a little while. Nearly each time I visit I discover something of the family or of my grandmothers’ creative history — a picture, a book, sewing patterns, a piece of china. I don’t get the stories about these objects from my grandparents anymore, but I still enjoy finding them. 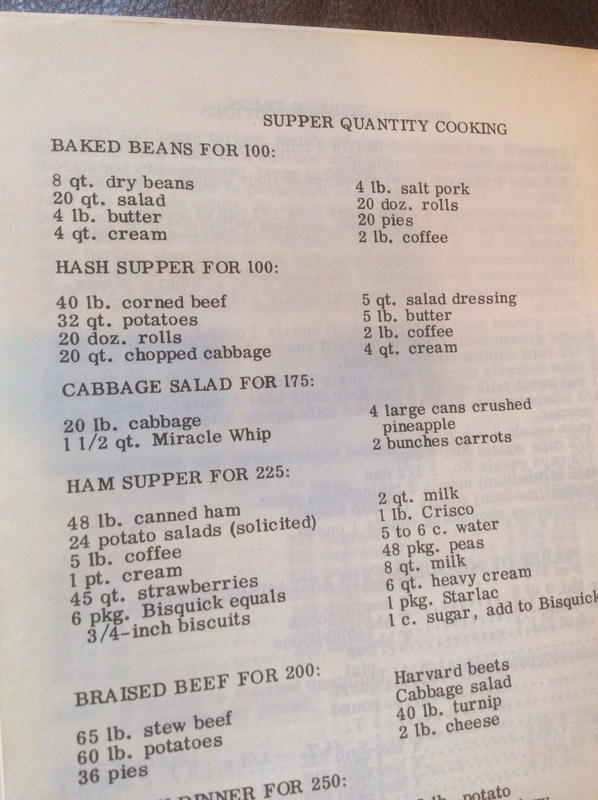 The cookbook is from the time when a nice salad was either tomato aspic or contained jello. 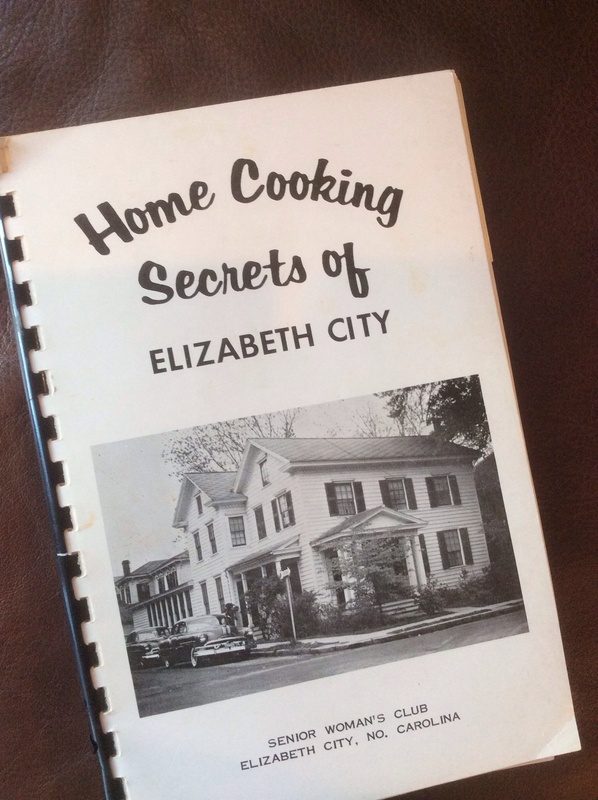 It contains old advertisements for local businesses as well as many homey recipes. Likely the most useful part of the book is the last bit which covers kitchen miscellany from oven temperatures and baking time charts to weights and measurements to ingredient substitutions. There is also a kitchen prayer at the end. I plan to make a copy of the book this weekend and bring the original back to Mom-mom. I will share any particularly good parts when I come across them.